Since decades the Near East conflict keeps the world breathless again and again. It does not only continue burning in the center of a region fought for because of its resources and about its formation following geopolitical ambitions, but plays a great part as a controversial topic and factor of confusion in the discourse for democratic and humanist aims. Many actors claim to aim at its solution. Since the late Seventies the Palestinian mainstream has basically agreed to the Two State solution. Never the less Western media portray the Palestinians as the true obstacle to it. Insiders in deed know that even Hamas would agree to such a solution, if the foundation would be the borders before 1967, notwithstanding some exchange of areas if fairly negotiated from both sides. 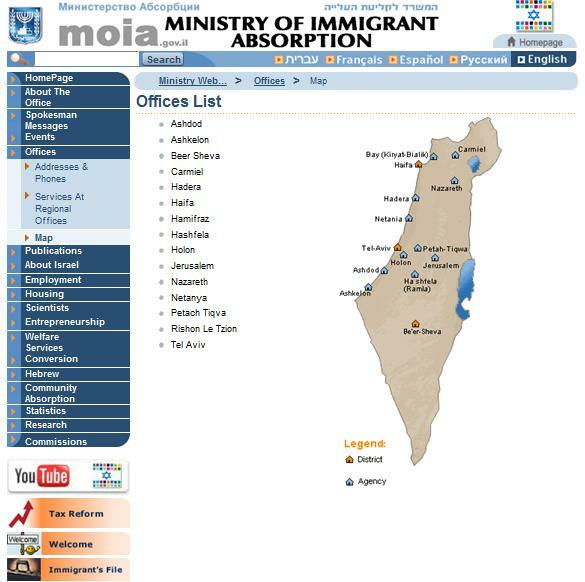 Source: http://www.moia.gov.il/Moia_en/Offices/Map.htm , click grafic to enlarge! After many, many months this link is no more working!